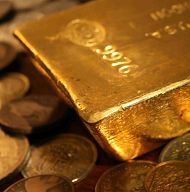 GOLD PRICES struggled below this week's new March highs in London trade Wednesday as global stock markets rose on hints of continued monetary stimulus from the European Central Bank. 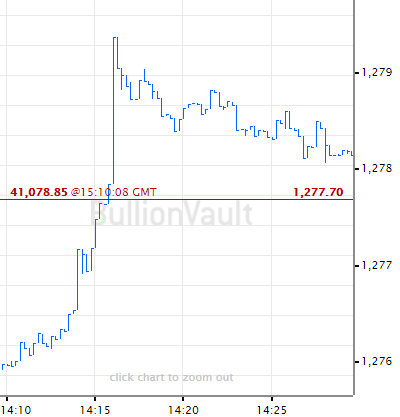 Gold priced in the 19-nation Euro held a small gain for the week so far but it fell below last Friday's close for US and UK investors, trading down to $1310 and £990 per ounce respectively. Asian stock markets rose outside Japan, which edged back after Tuesday's rally amid talk of new central-bank stimulus in Tokyo. Following dovish comments from both US Fed and Bank of Japan policymakers over the last week, "The ECB will adopt all the monetary policy actions that are necessary and proportionate to achieve its objective," said its president Mario Draghi today in a speech at the central bank's Frankfurt HQ. Widely assumed to mean the ECB will delay any interest-rate rises or sales from its QE bond-buying program, "We are not short of instruments to deliver on our mandate," Draghi added, an echo of his famous "whatever it takes" comments during the 2010-2013 Eurozone debt crisis. Gold priced in the Euro currency rose Wednesday to touch €1170 per ounce – a 22-month high when reached in February – while German, French, Italian and other Eurozone government bond prices also rose again. Pushing yields further below zero, 10-year German Bunds now offer to cost new buyers 7 cents per year for every €100 invested. 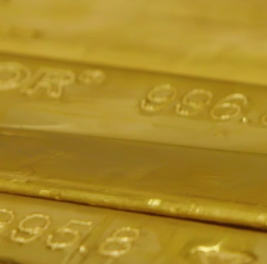 "Given that the market is increasingly pricing in a US rate cut this year," says a note from Canadian brokerage TD Securities, "gold could well move into a higher trading range sooner than expected. "Indeed, we suspect that current prices will prompt aggressive [speculative] buying along with additional spec length" in the futures and options market. 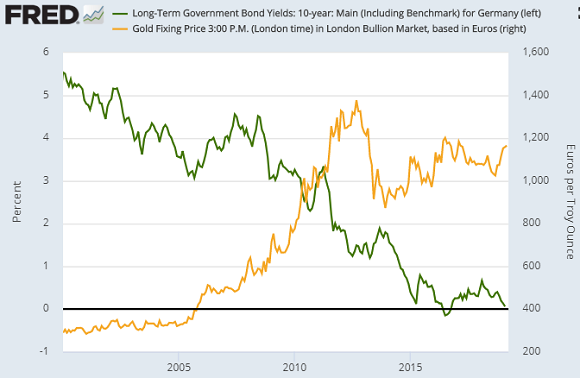 The giant SPDR Gold Trust (NYSEArca: GLD) – the world's largest gold-backed ETF – yesterday grew by 0.4%, taking the New York-listed fund back to its size at the end of February after shrinking by 2.2% over the first 2 trading days of this month. Despite the UK's ongoing policial crisis however, the 2 largest such UK-listed gold ETFs have shrunk by 2.1% so far this month. UK lawmakers were set today to seek "a way forward" on Brexit – initially scheduled to happen this Friday – by voting on a shortlist from 17 alternatives including 'no deal', asking the EU for a customs union, or even cancelling Brexit entirely. Very disappointed to see 'Brexit but on the blockchain' has not made it onto the list of proposed indicative votes. Prime Minister Theresa May was again rumored to be preparing a timetable for quitting as Conservative leader in exchange for pro-Brexit members of her party agreeing to back her Withdrawal Agreement with the European Union, already twice rejected out of hand by Parliament. Pro-Brexit former Foreign Secretary Boris Johnson today joined Brexit-group the ERG's chief Jacob Rees Mogg in saying he "could" back May's deal at the third time of asking, provided the Conservative Party's coalition partners from Northern Ireland's DUP also agree. The opposition Labour Party will order its MPs to back an indicative vote for a second referendum, contradicting what senior figure Barry Gardiner told the BBC at breakfast time. May's Government yesterday responded to a petition with 5.8 million signatures – far above the 100,000 threshold for needing a debate in Parliament – that it "will not revoke Article 50 [but instead] honour the result of the 2016 referendum and work with Parliament to deliver a deal that ensures we leave the European Union." Over in China today, Shanghai gold prices held a solid $14 premium to London quotes, more than 55% greater than the typical incentive for new bullion imports into the world's No.1 gold consumer nation. "Jewelry sales will most likely be weak this quarter," reckons German-headquartered refining group Heraeus in a note, saying that despite "some limited stimulus measures in an effort to boost economic activity" from Beijing's government, "the price has rallied further during 2019" while China's manufacturing sector "has continued to decline", hurting household incomes overall. Gold jewelry consumption in No.5 market Turkey also faces "a mixed outlook for the coming months" says the latest analysis from specialist consultancy Metals Focus, reporting from last week's Istanbul Jewelry Show. With Turkish households increasingly moving away from high-purity items as gold prices have set a run of new all-time Lira highs in recent years, "Demand for high labour 14-carat gold jewelery has [now] suffered as consumers cut back spending on non-essential purchases," the analysts say.